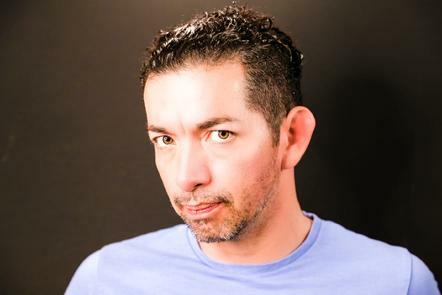 Ernesto Cantu was born in Mexico. His vibrant, versatile acting voice and excellent command of English have earned him roles in feature films, cartoons, video games, documentaries as well as corporate video and audio presentations. Ernesto has a unique ability to give life to cartoon and video game characters. He can also project vibrancy into narration, commercials and corporate readings in both English and Spanish. Ernesto is probably the first Mexican actor to debut on a London stage in The Lower Depths by Maxim Gorky (Greenwich Playhouse, 2002). His love for radio plays since his childhood inspires him to approach dubbing and voiceover parts with equal passion and commitment to other acting engagements. He is a member of British Equity and is featured in the Spotlight(UK) casting directory. Fifty Shades Darker - Zayn and Taylor Swift Lyric Video - "I Don't Wanna Live Forever"
Voice Overs: from apps (in Latin America) like the Award winning children’s cartoon Peppa Pig - to - numerous talking toys of famous superheroes for the Spanish speaking market in the USA and Latin America.